Small Single Lily Pad is an ideal bird bath if have just a small space in the garden. 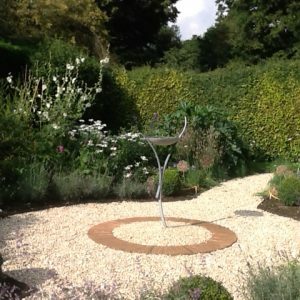 Stock in the process of being made. 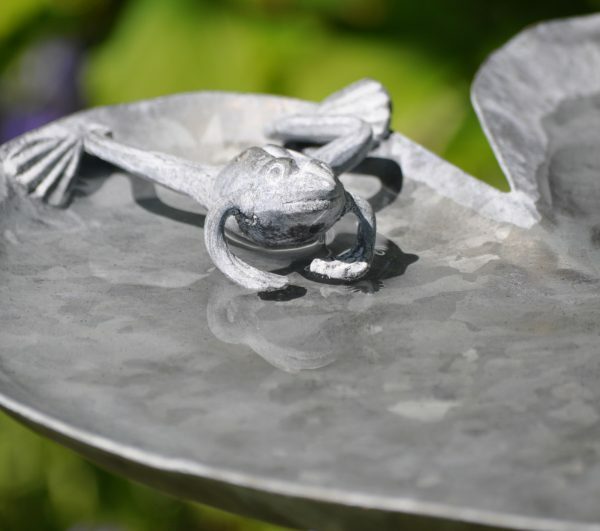 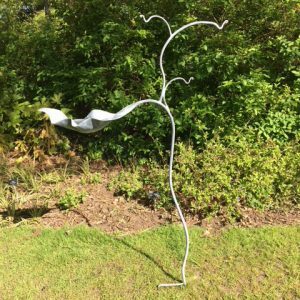 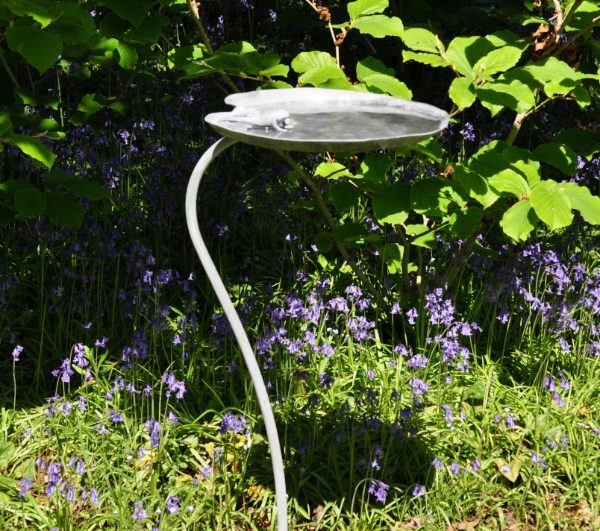 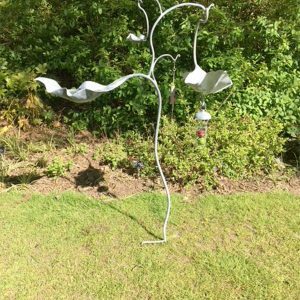 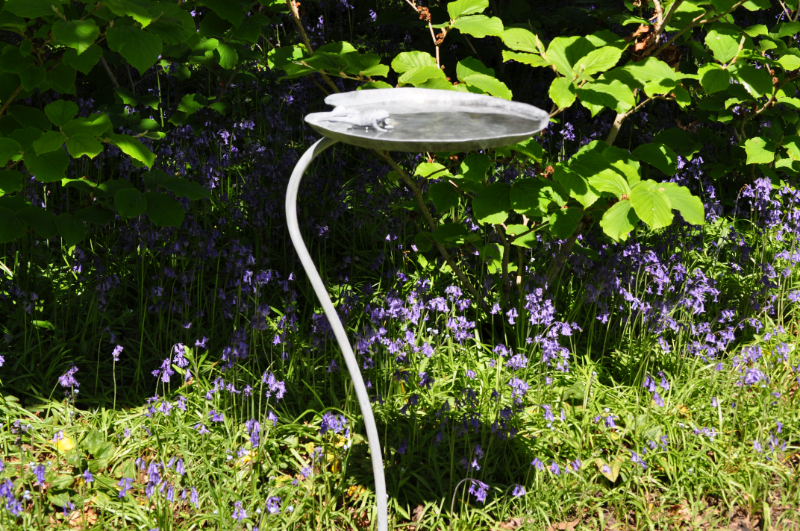 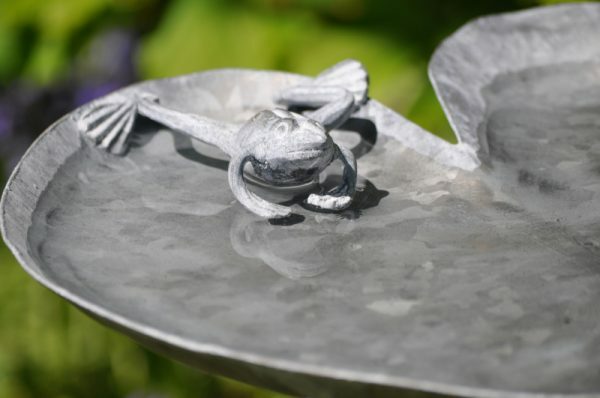 Designed and created by award winning Metal Sculptor Ian Gill, this Frog Lily Pad Bird Bath would look great in any garden. 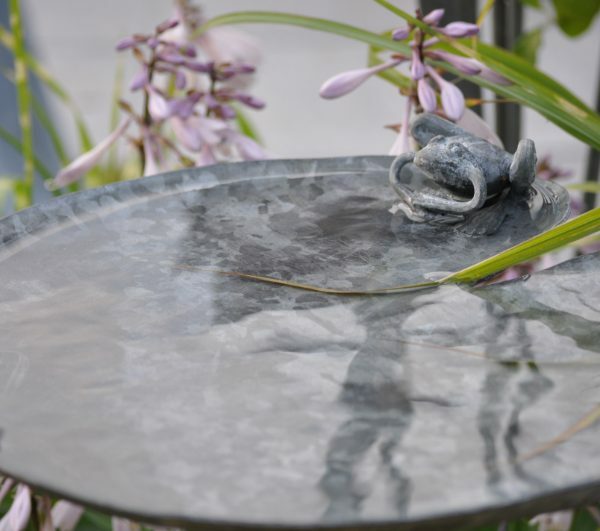 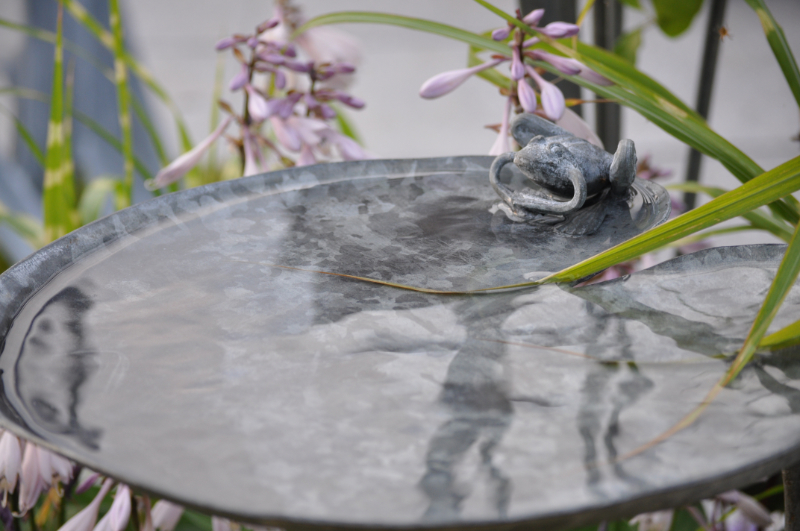 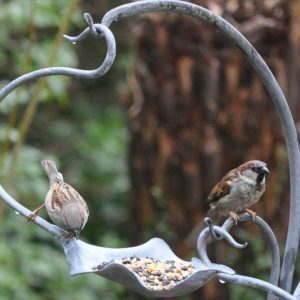 The Bird Bath is made from Forged Steel which is hot dip galvanized to prevent rusting, the galvanised steel sculpture is then coated with a mild etching solution which gives the surface an oxidised lead apperance to create our unique long lasting finish.